There is obvious reason for the cinema halls for announcement for all-out strike from April 12 in demand to relax movie import policy and more initiative to produce quality local movies. Days after the India-Pakistan war in 1965, then Pakistan (Bangladesh was eastern province of Pakistan) banned exhibition of Indian movies in cinema halls all over the country. After Bangladesh independence, a law also includes ban on Pakistan cinema since 1972. If English movies are allowed to be imported, then there should not be any hesitation to import movies from any other countries. The cinema-goers market should be freed. Once there is multiple choices, surely the people will go to movie theatres. An audience expects to laugh and cry. Empathy is created while watching the movie. If this do not occur, the audience will not return to watch the movie unless the content of the cinema is worth recommending. Many go to halls after hearing from friends and colleagues. Now social media, specially Facebook is the best medium for spreading words. Every moviegoer pays an entertainment tax. What happens if the audience is not entertained? They will stop going to watch movies. Why would cinema halls invest in renovation, equipment, seats and other facilities when they cannot make enough from showing flop movies. Well if the cinema halls are converted to commercial buildings or shopping malls, they will get incentive from the government to establish a multiplex, meaning digital projection. Good cinema or award winning films will not make the movie theatres to make money. Only commercially movies will make halls eager to exhibit movies. To produce quality Bangla movies, there is a need of science and literature to intertwine. Bangladesh has quality equipment, camera and other facilities in Film Development Corporation. They have technically trained cinematographers, editing panel. Ultimately it is man behind the machine, which makes excellent movies. There is a wide scope to experiment with films, but there is need for creative scripts and directors. There is no dearth of actors and performers. So where lies the problem? That has to be looked into. Pijush Bandyopadhyay, is an acclaimed stage, television and film actor. 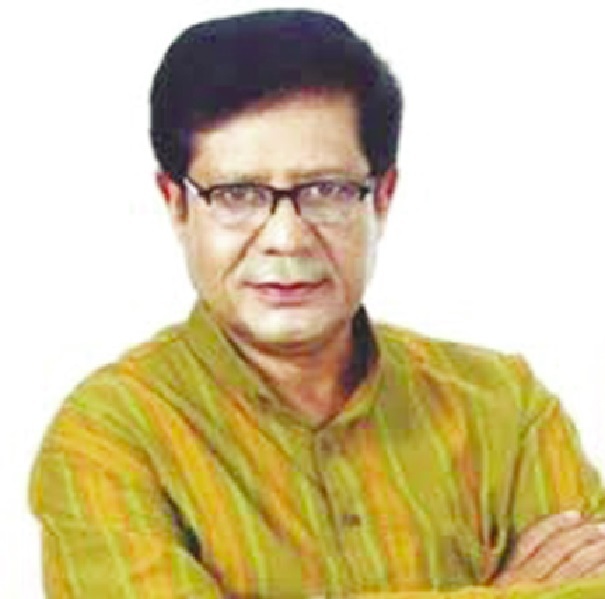 He is a former managing director of Bangladesh Film Development Corporation.